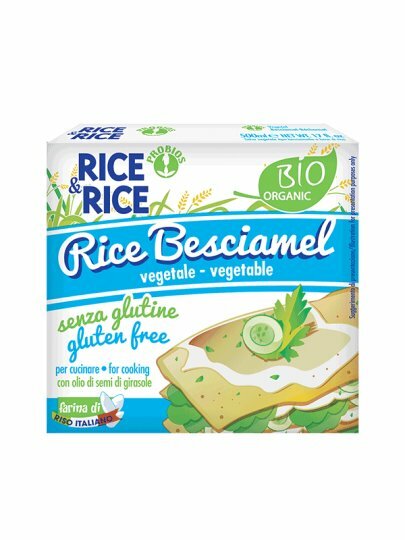 From Rice & Rice brand new delicious cream with Italian organic rice, 100% vegan and gluten free! The recipe is free of milk and palm oil, produced in organic sunflower oil. Perfectly replaces traditional beschamel, ready to use and ideal for preparing pasta or pies from vegetables, as well as other tasty traditional recipes! water * rice flour, * sunflower oil, * rice starch, corn starch *, emulsifier: sunflower lecithin, salts, thickeners (carrageenan, xanthan gum, guar gum), natural flavorings. *organic. Once open, keep in refrigerator and spend within 3-4 days.